The most exciting excursions (even photo sessions and dinners on roofs of Petersburg) And many other ways to entertain yourself! 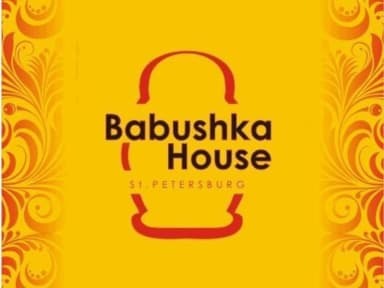 Babushka House is the perfect cozy place with a superb transport network at your door for your great and unforgettable vacation in the heart of the city. It is ideally located in the most historical and central part of Saint Petersburg - few minutes by foot from main avenue - Nevskiy Prospect. We are the youth house where you can feel the real Russian spirit and hospitality! ATTENTION!!! ONLY TILL THE END OF SEPTEMBER the airport transfer is free for guests who booked twin or double room for more than 3 nights!! Well be glad to provide you with all necessary opportunities for your comfortable staying at our hostel. Youll be able to relax listening to the music, watching films on TV/DVD, reading books and surfing our fast internet in our lounge. 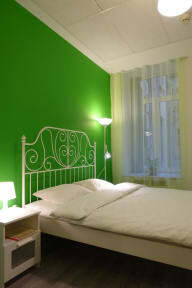 We are the only hostel in Russia, which provides private accommodation for the price of dormitory rooms. Our youth house provides for private accommodation in twin or double rooms and dormitory accommodation in 4 bed and 6 bed mixed dorm rooms. We have a spacious common area with sofas, TV lounge area, FREE Wi-Fi internet and 24/7 reception. Our lounge is the best place for international parties, cinema evenings, sport translations and board games! You can enjoy Russian beer and snacks from our mini-bar and have fun after long walking tours. Our kitchen is a cool place to have a cup of tea or coffee any time you want with your new friends and neighbors from all over the world. You can use kitchen anytime. We provide you with a FREE BREAKFAST every morning from 8-30 till 10-30 am. Dont forget about special delicious pancake breakfast on weekends and international home-made Babushkas dinners on Fridays! We have shared facilities in our house. Showers, toilets, mirrors, dryers, washing machines, irons, hair-dryers - all of this you can find in our house!!! Cleanliness is the highest priority for us. All guest rooms, showers and common areas are cleaned daily. Please note that visa support for foreigners can be provided at surcharge. Please contact the property for additional information. Please note that registration for foreigners is required at RUB 250 surcharge and RUB 75 surcharge for Russian citizens. Please note that in case of reservations for the groups of 5 and more people the property will contact you directly. We look forward to giving you a warm welcome in the nearest future! Dont hesitate to contact us if you have any further questions! We had a nice private bedroom, although there was no window (we did had an airco system). The kitchen was good, very nice to cook your own dinner. The showers were oké, although not the best I have seen in Russia. We could do our laundry for 50 rub which was very hand. The staff was nice and friendly.